He actually cares for his patients and sometimes he takes longer than your allocated time. Knowing this, I would book with him time and time again!! Been with him since 1994. Best Doctor ever. Great sense of humour and even if you are not sick you want to see him and chat. Dr. van der Ross took his time with us, answered our questions patiently, and made both our children feel comfortable and cared for when they were feeling ill and had to have blood tests done. Definitely one of the best doctors we've been to! 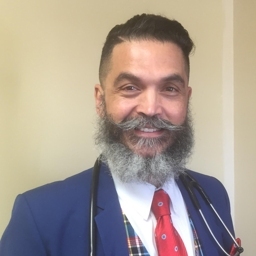 Hi Everyone, This is the BEST DOCTOR IN Cape Town maybe even South Africa been his patient since I was 15 and he is always amazing. He is responsible for monitoring and regulating my dad's erratic diabetes. He is the absolute BEST( friendly, caring, informative and stern when necessary). This Doctor leaves me SPEECHLESS.. Very caring, considerate, honest & passionate.. Don't know where i'll be without HIM!! Both my children think he is absolutely fantastic as a Doctor, he has a special way with children and teenagers. Amazing, humble, kind, a doctor who truly cares. Not only does he treat you, he teaches you, you have his undivided attention. I could not recommend him more!